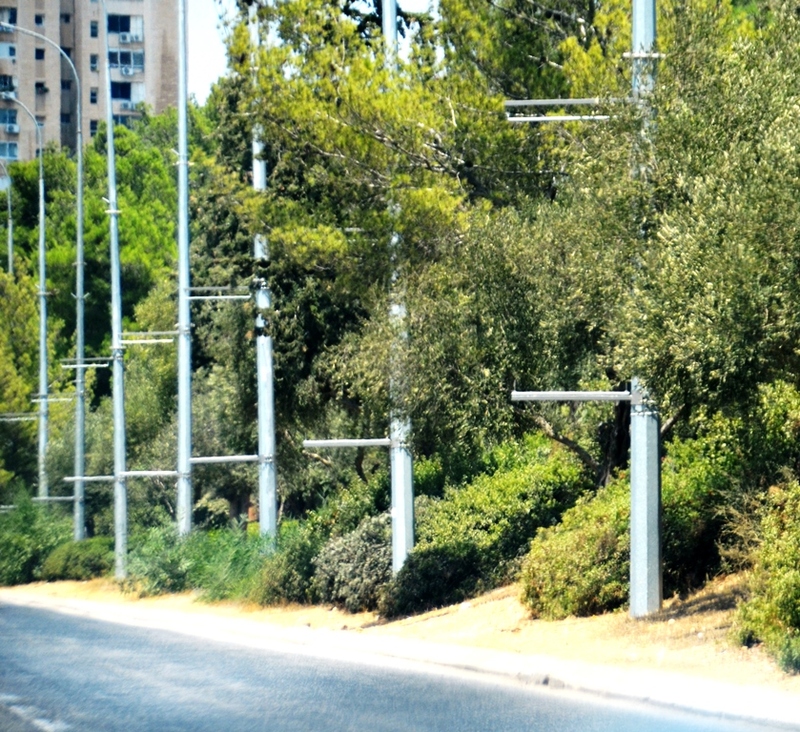 Amazing how morning rush hour traffic seems to have disappeared from many Jerusalem streets. Many families are away on holiday until the end of August. 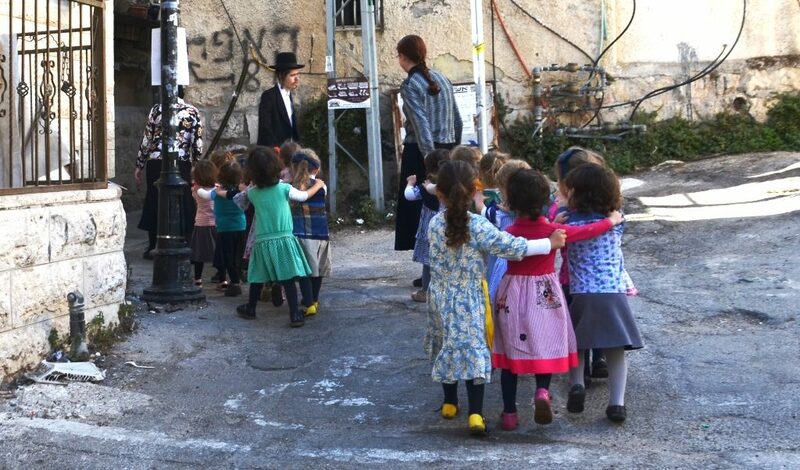 These little girls in Mea Shearim were so cute lined up on their first day of school, which began the beginning of Jewish month of Elul for many religious schools. 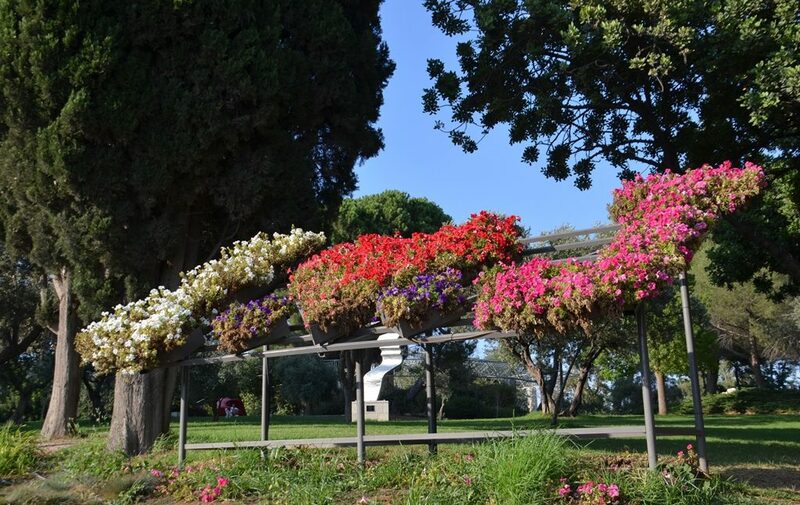 “I love Jerusalem” was spelled out in flowers near the Montefiore Windmill. 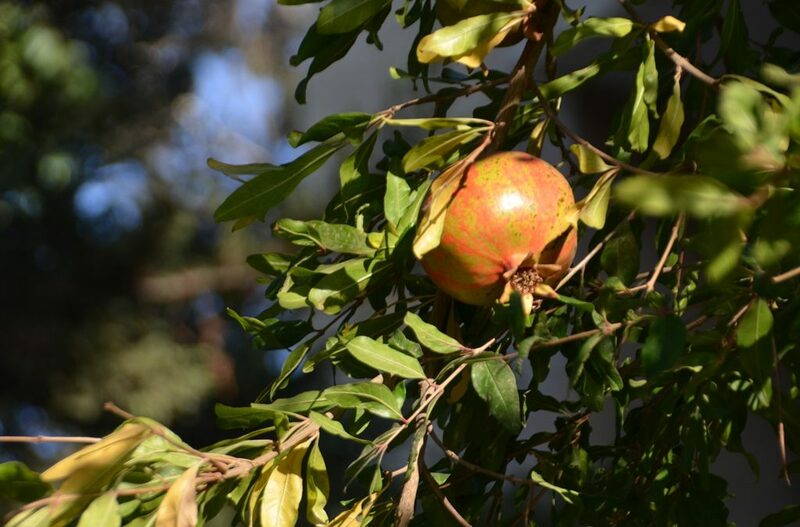 Pomegranates are almost ready to pick from the trees lining Jerusalem’s streets. 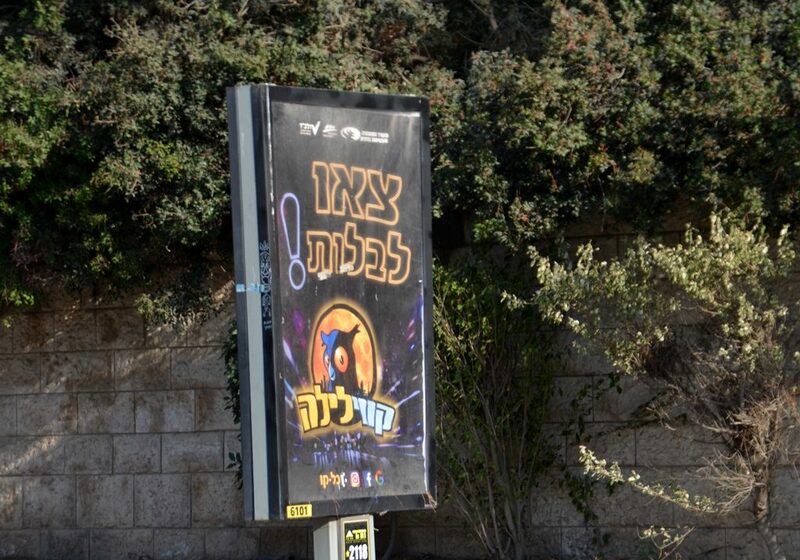 No event signs were posted here near the Knesset. Is there nothing new happening or are the workers away? For those of us who did not go away, there are things to do beside hang out in the malls. 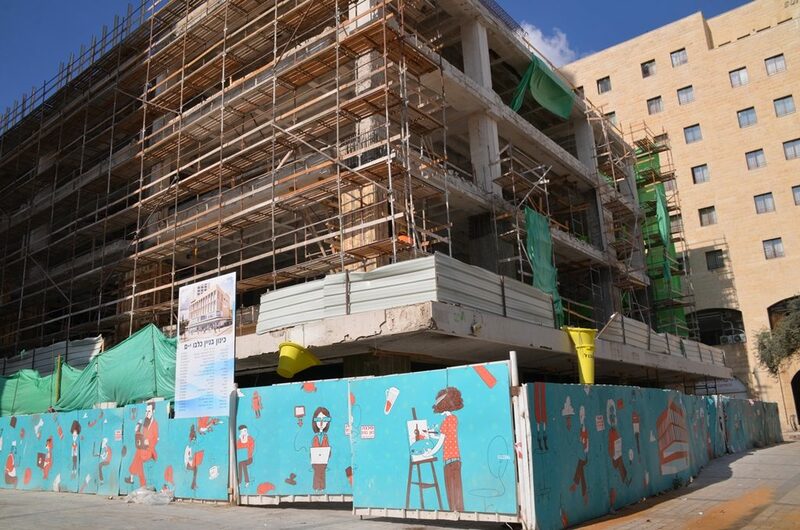 The Jerusalem Bible Land Museum has free entrance for children. 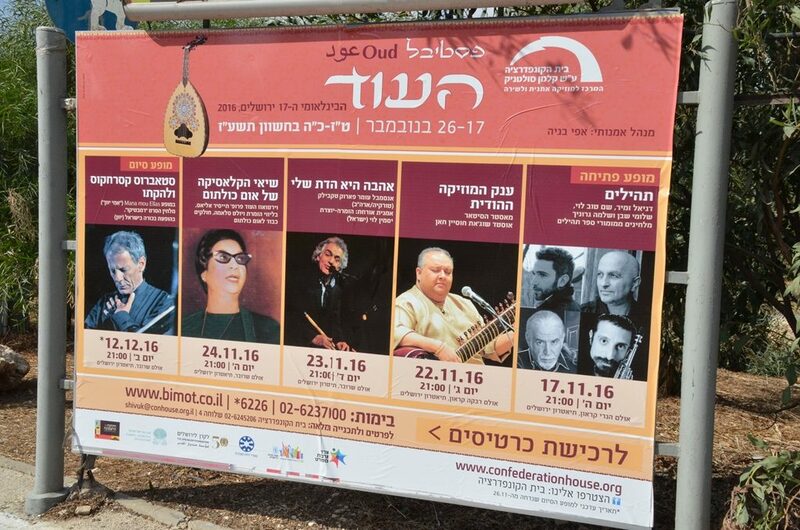 The Tower of David does as well, and so does the Israel Museum. 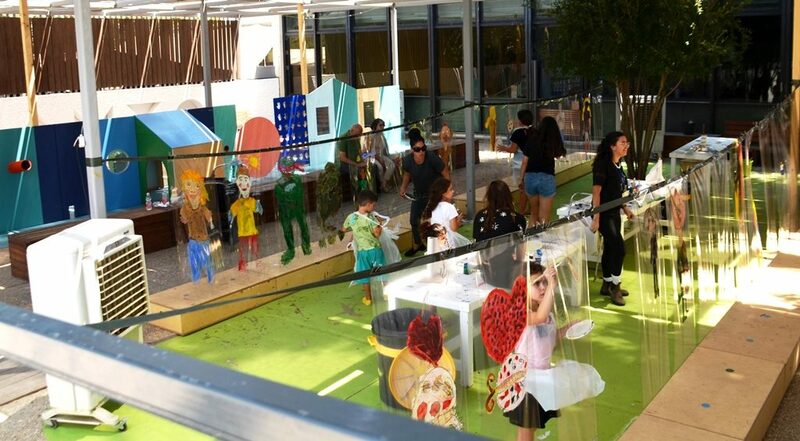 At the Israel Museum, the special summer exhibit “I to Eye” includes a craft area set up outside the Children’s Wing. 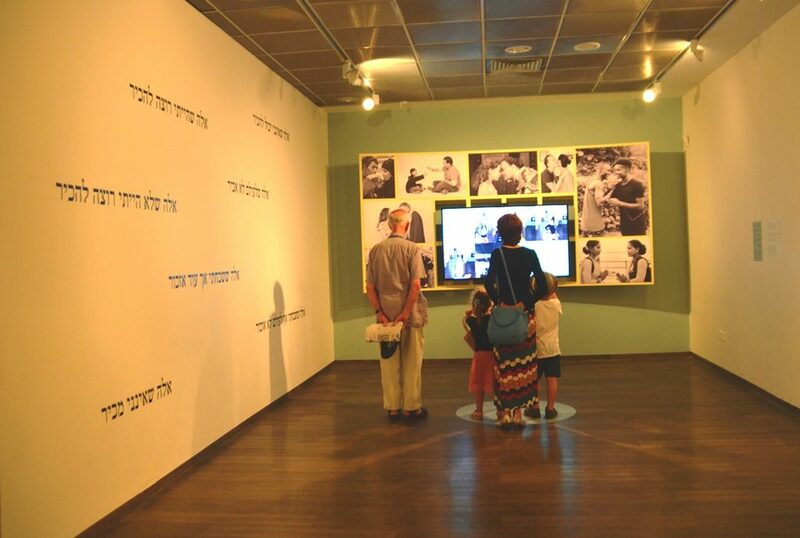 The Israel Museum is a popular summer day activity for families. Inside are multi-sensory exhibits, including one with virtual reality googles. 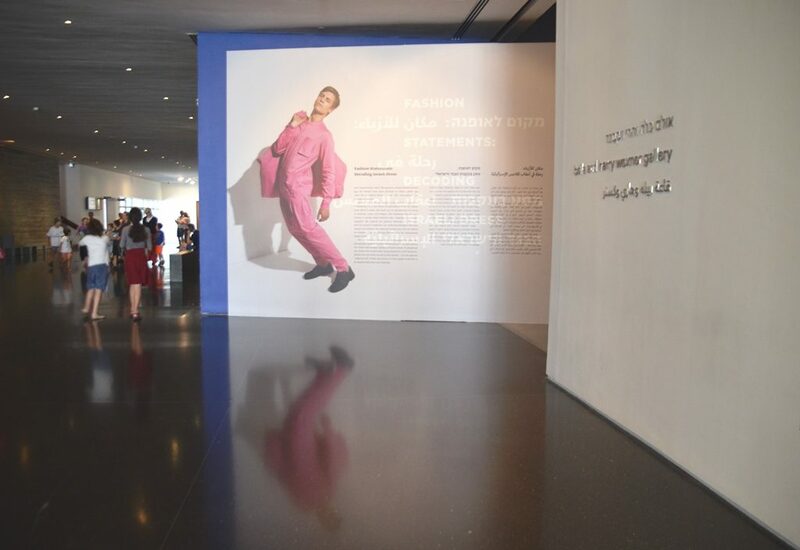 The Israeli Fashion exhibit is still on, attracting mostly adults. 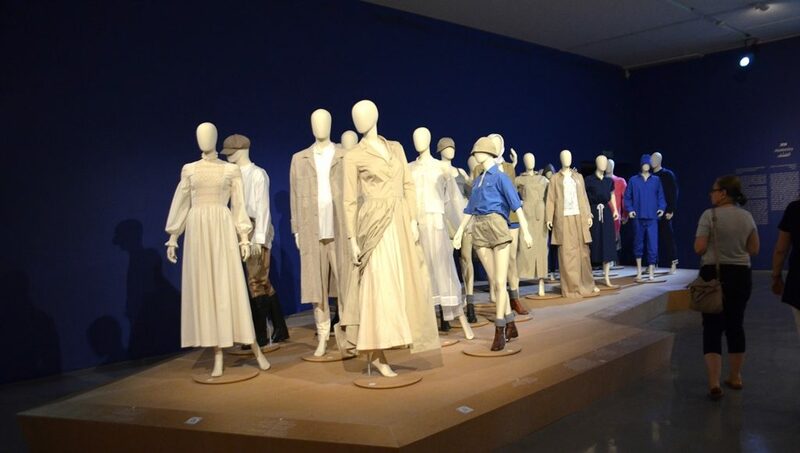 Years of Israeli fashion design are displayed with 150 outfits. How cool? 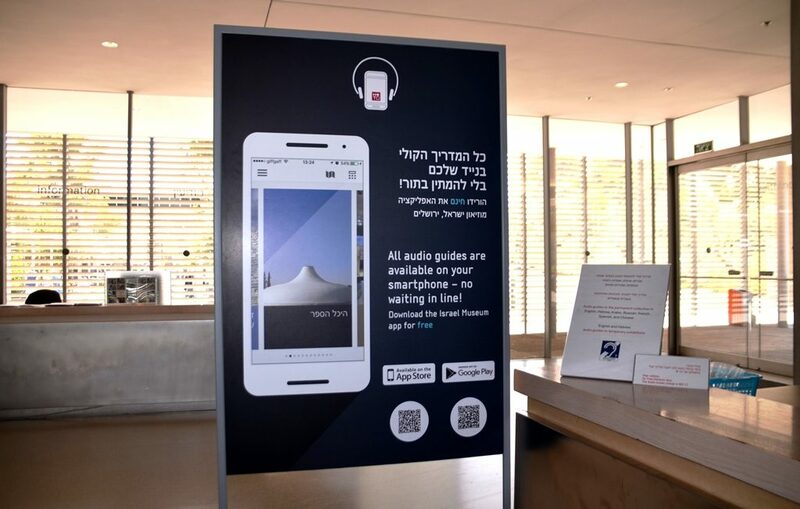 I downloaded the Israel Museum App. Now, using the app at home, I can listen again to the descriptions of both what I saw and did not see today in the various exhibits. 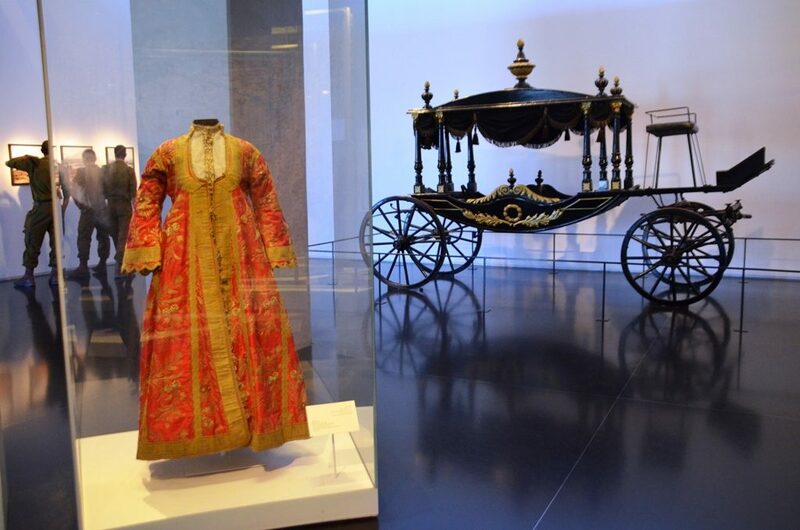 Across from the fashion exhibit is art of the Jewish life cycle, from this Moroccan bridal dress to a Hungarian funeral carriage. 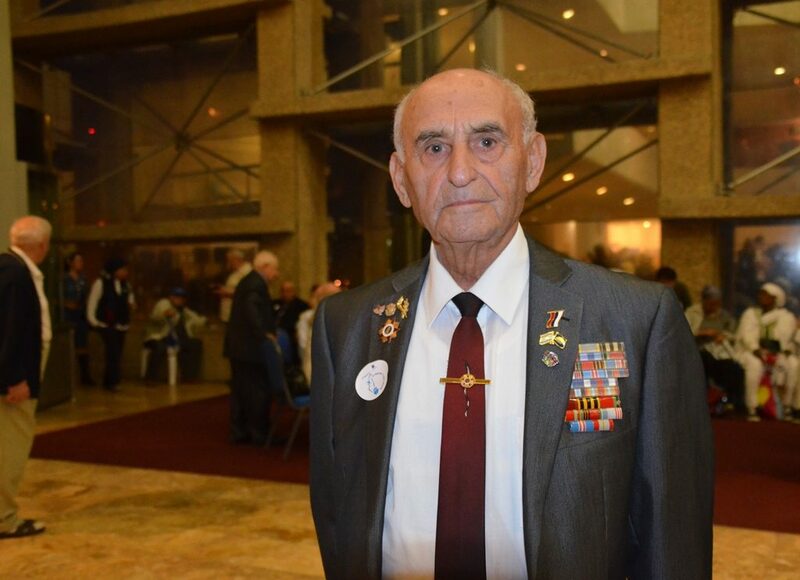 In the background, you can see three of the dozens of Israeli soldiers who were in the museum on a tour. 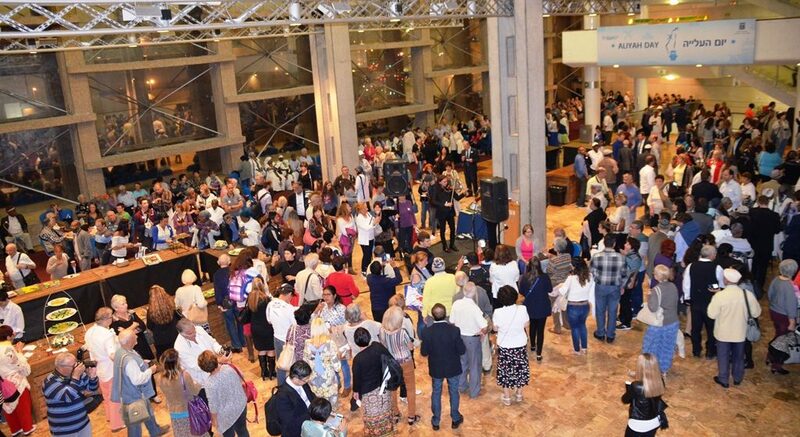 Museums and malls are especially popular on extra hot summer days. 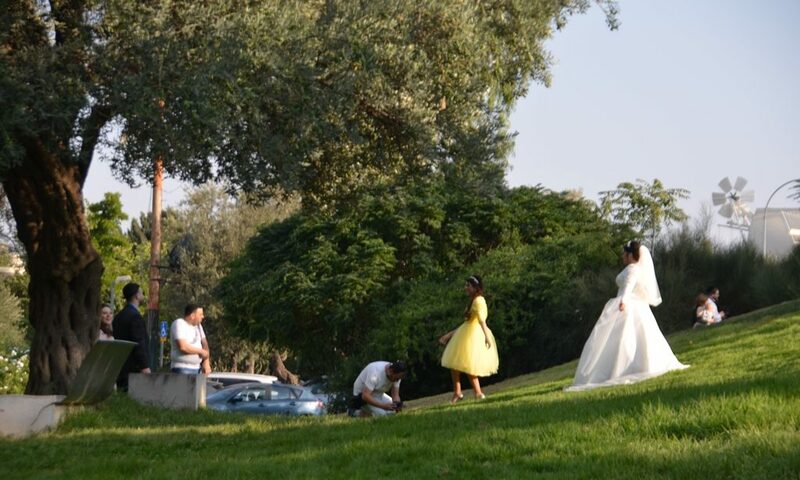 As evening approaches, a modern bride and her wedding party were taking photos. 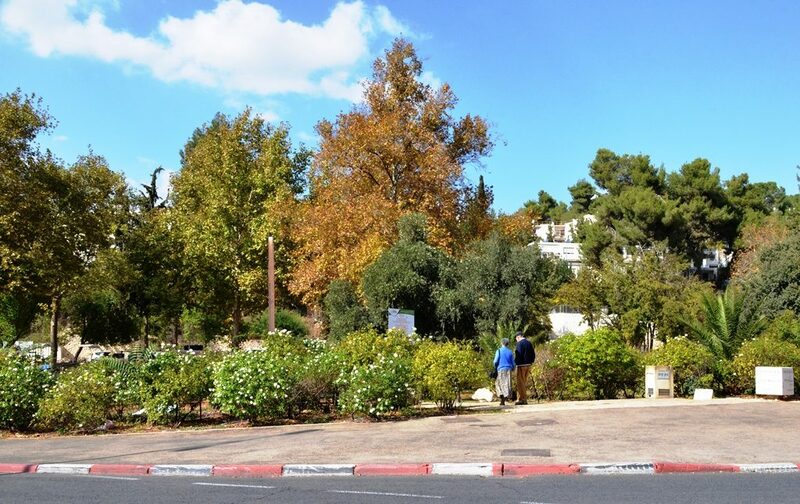 This Jerusalem city park, Bloomfield Gardens, is in back of the King David Hotel. 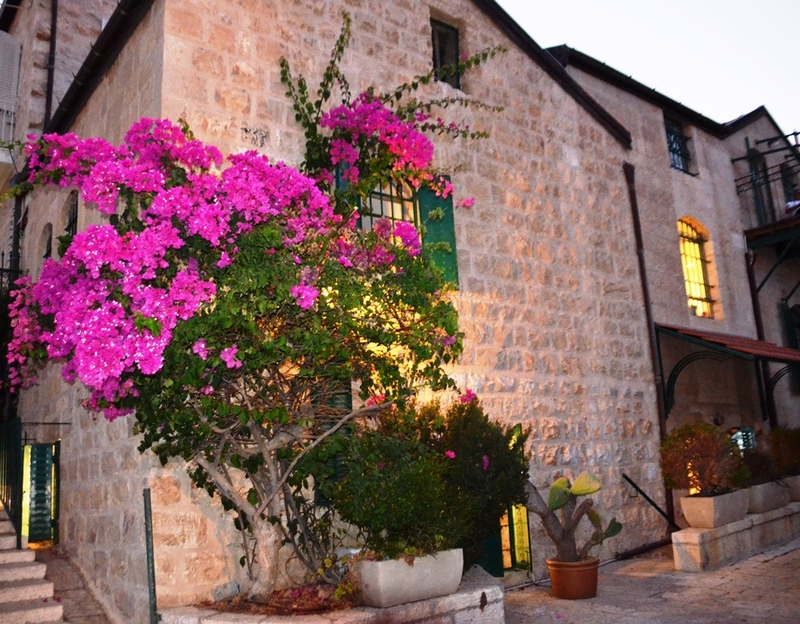 On Jerusalem Photo Walks, I like to show the beautiful part of this hidden area to visitors. 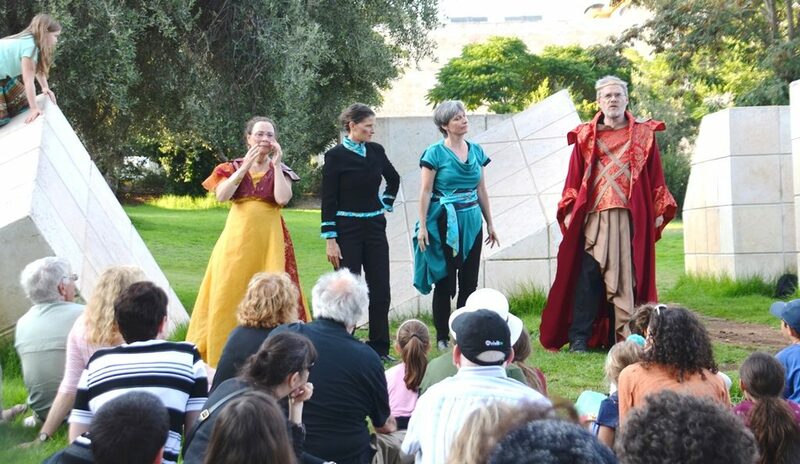 Shakespeare is not studied in Israeli schools. 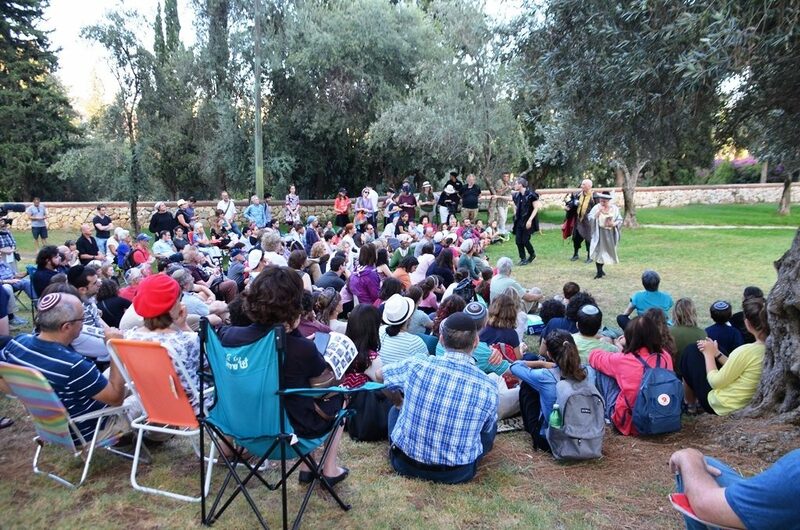 So while the production of the Jerusalem Theater in the Rough is not quite Shakespeare in Central Park, “to be or not to be” is no longer their question. 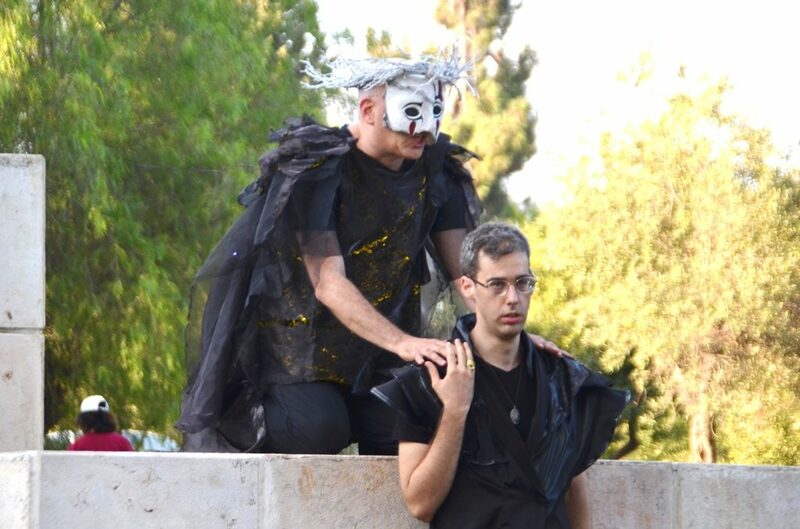 This troupe of actors have been sharing the Bard with whomever comes to the park. 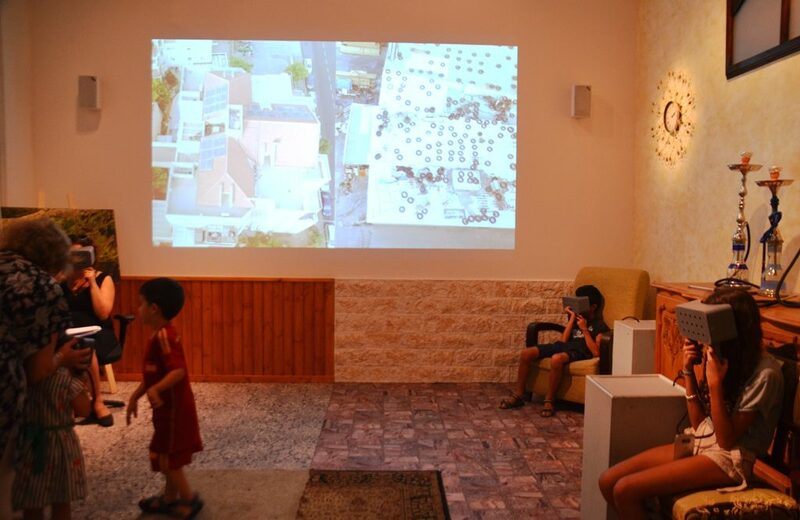 To watch Arab families sit and watch along with religious Jewish family groups is part of the unique Jerusalem experience. Minutes away is the entrance to the 42nd annual International Arts and Crafts Festival. 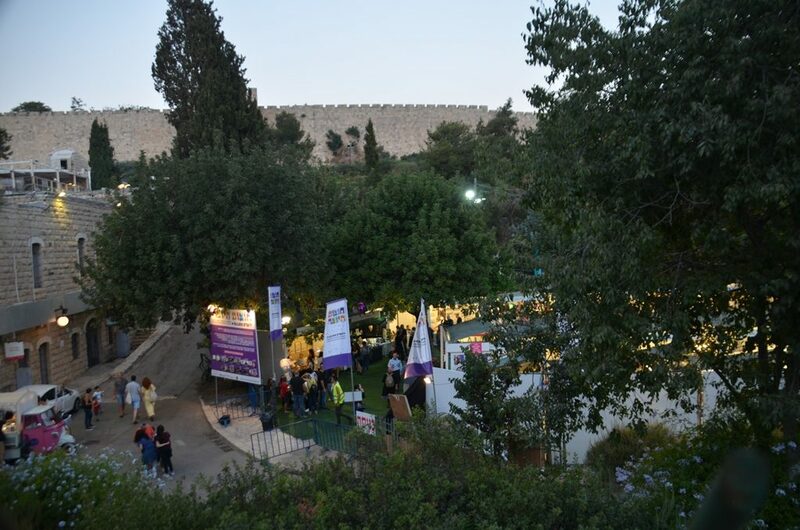 The entrance next to the Artist Colony has the walls of the Old City in the background. There is food, music, and 150 artists showing their work. Dozens of local and international artists have booths. As night falls, the lights go on and people come out as the summer ebbs. Special bus lines aim to get late-night party animals home safely. 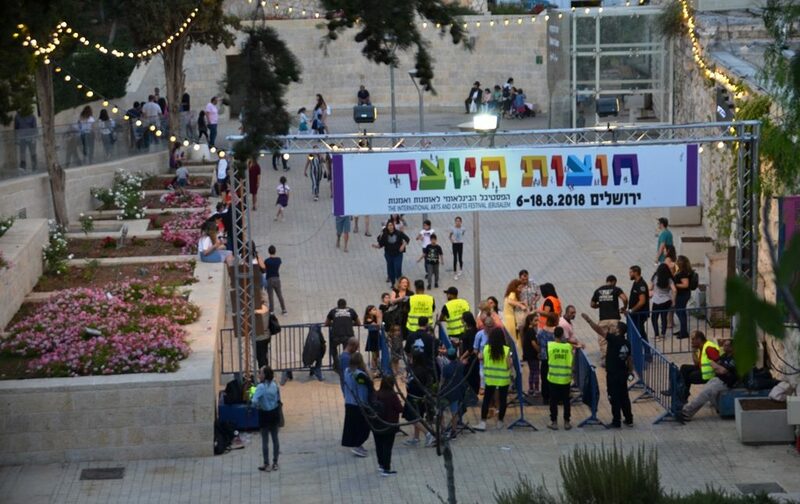 Even with so many residents away, tourism is high, and there is plenty happening on the Jerusalem streets. 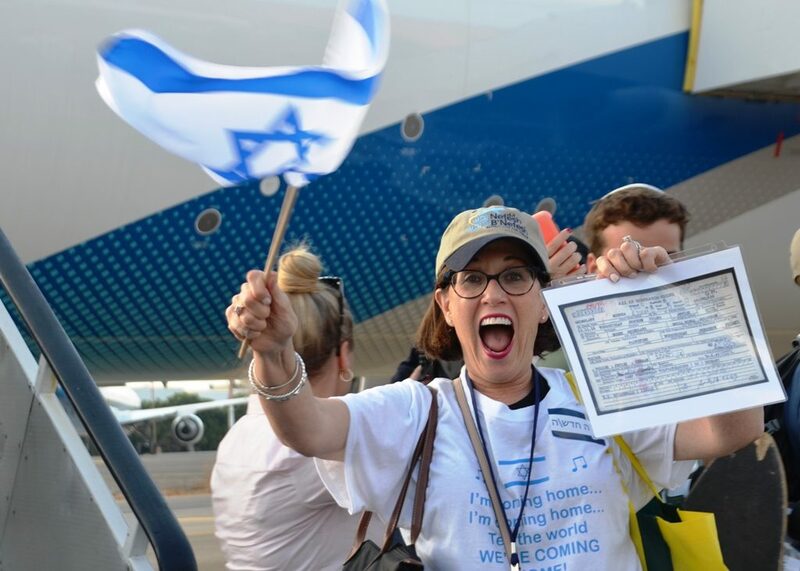 Plus, Wednesday morning, as the sun rose, 239 new olim arrived in Israel. If mainstream media news and summer heat gets you down, check out the smiles and excitement. and moved to Jerusalem, Israel. the ones the mainstream media never seemed to share. I am still amazed to see white roses blooming in November. most winter vegetation will now turn green. these festivals are growing each year. and Arab women shopping on Jaffa Road. Construction sites are another regular sight. Work is progressing slowly at WeWork at the old Mashbir building. 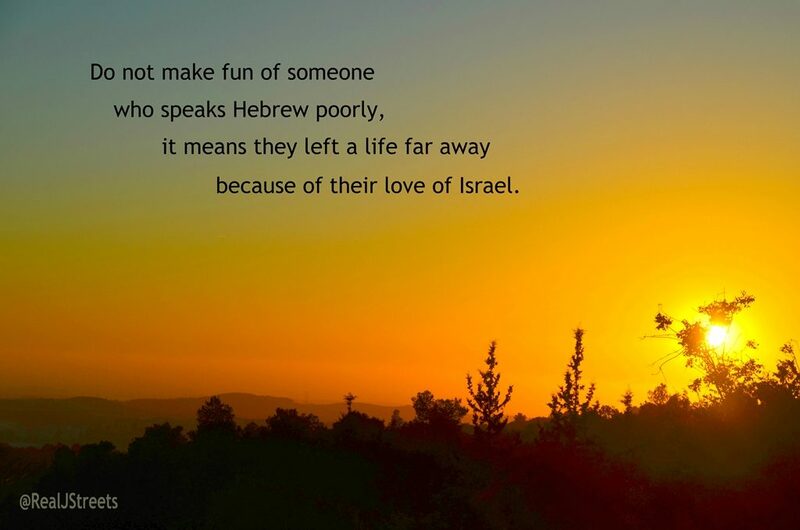 The Hebrew language is another story. twice when posted on Facebook. 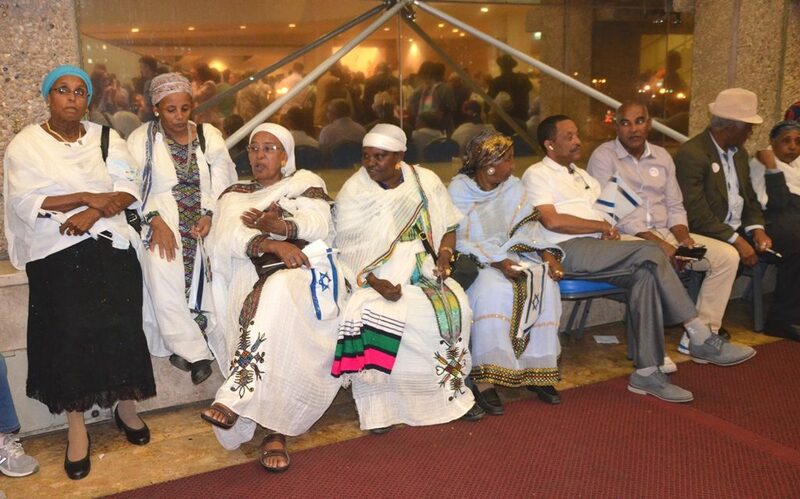 the first national celebration of immigrants to Israel. 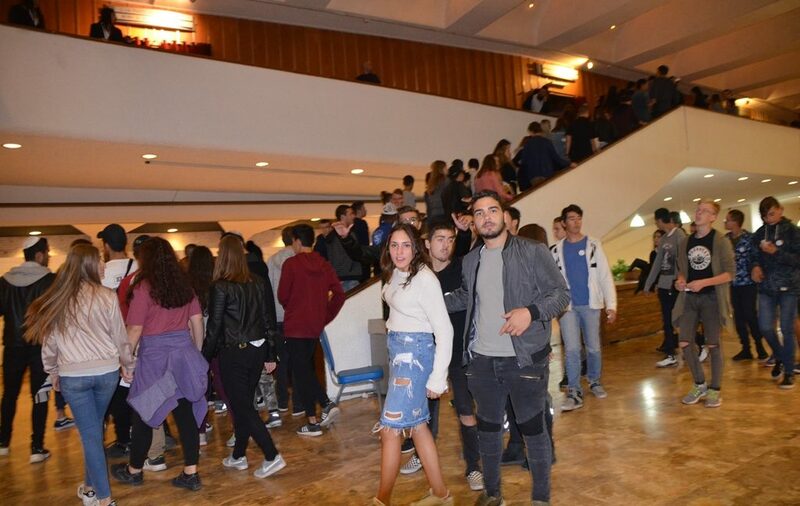 was filled with thousands of olim. and on the other lapel, a white Aliyah Day sticker. 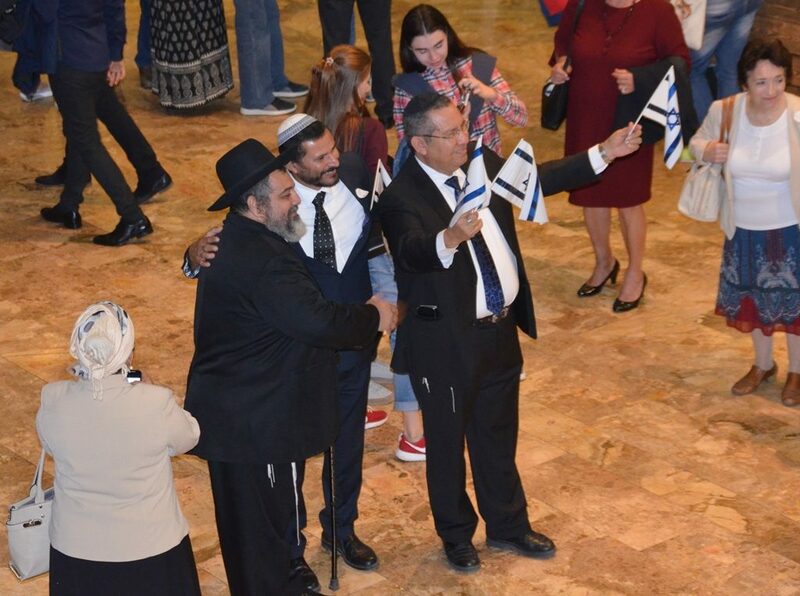 Men posed waving Israeli flags. attended by the Prime Minister and his wife and a list of dignitaries. 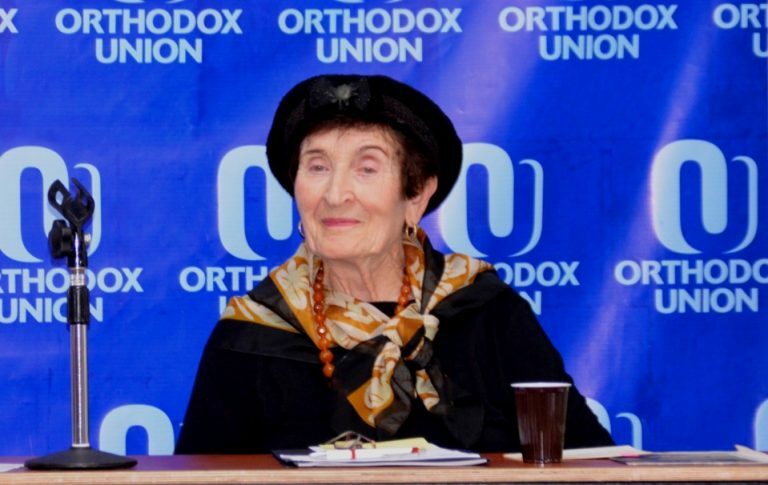 to attend a special Kristallnacht program. and this year it fell out on November 8.
as Jewish hopes, homes and lives were destroyed. and she and her brother were the only family members who survived. the morning after and its destruction. It is important for witnesses to retell their stories. 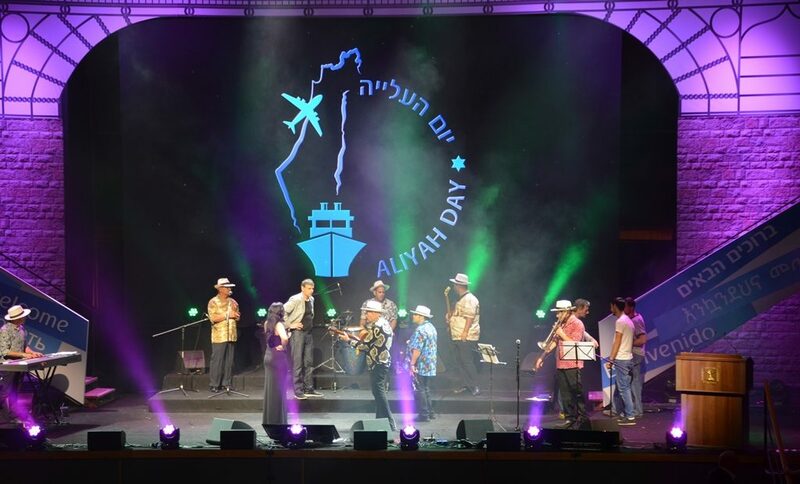 in celebration of Aliyah Day.